Heat oil in heavy bottomed pan. Add rai seeds and let it crackle. Add whole red chillies followed by curry leaves and spices minus sugar. 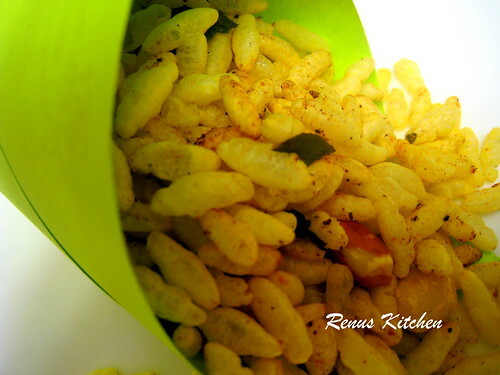 Immediately add puffed rice & peanuts. Mix everything thoroughly on low heat.